At Benhall we love to make learning creative & fun in order to achieve our very best. We take every opportunity to try new experiences and develop our independence and resilience. Please take time to explore our site and see just some of the exciting things that we have been up to. For the past 3 years we have worked closely with the BBC Springwatch Team learning about the nature around us in Suffolk and developing our presenting skills. 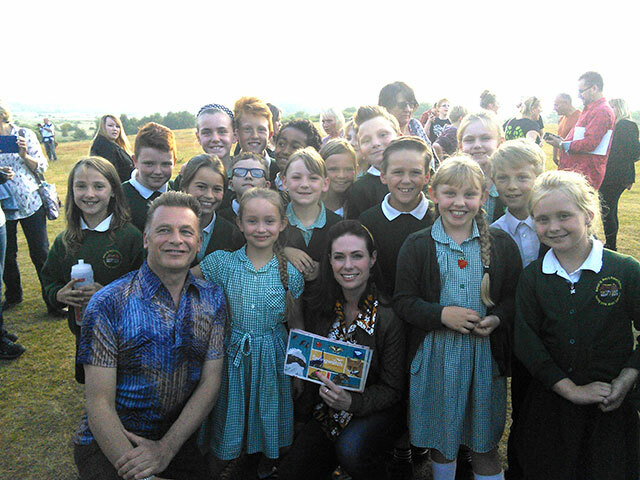 Here is a photo of some of us meeting Chris Packham and Lindsey! Here we are filming with Blue Peter to gain our Green badge! !